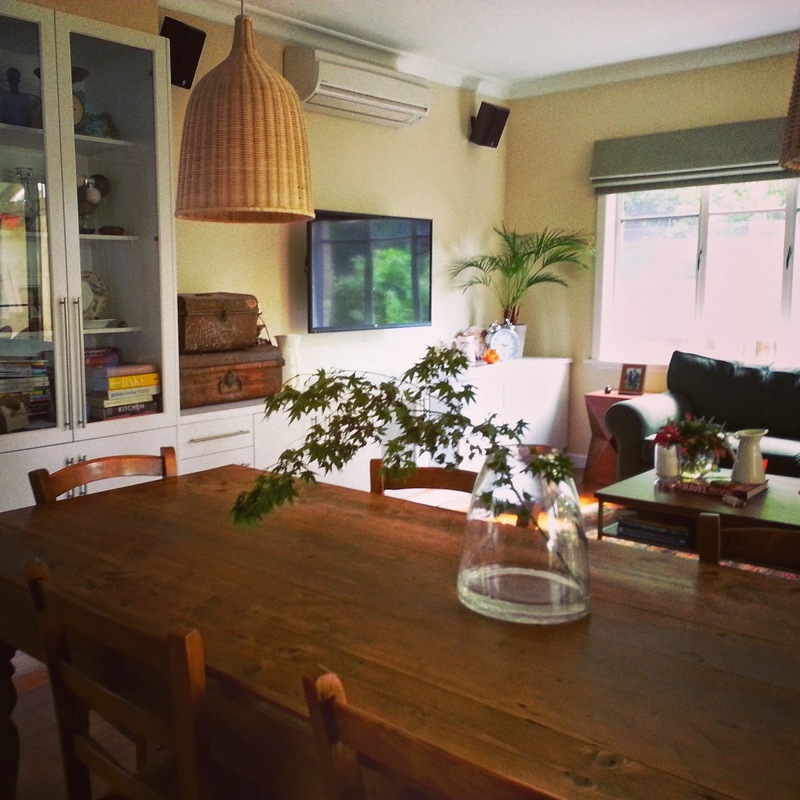 One of my most popular posts has been able how I decorate my own home (link to previous story), so I thought it about time I give you an update as I didn't show you my living room previsously. My love for warm earthly colours and timber continues. I now am gravitating towards metals such as copper and brass and have found a place for both in my living room (pictured below). 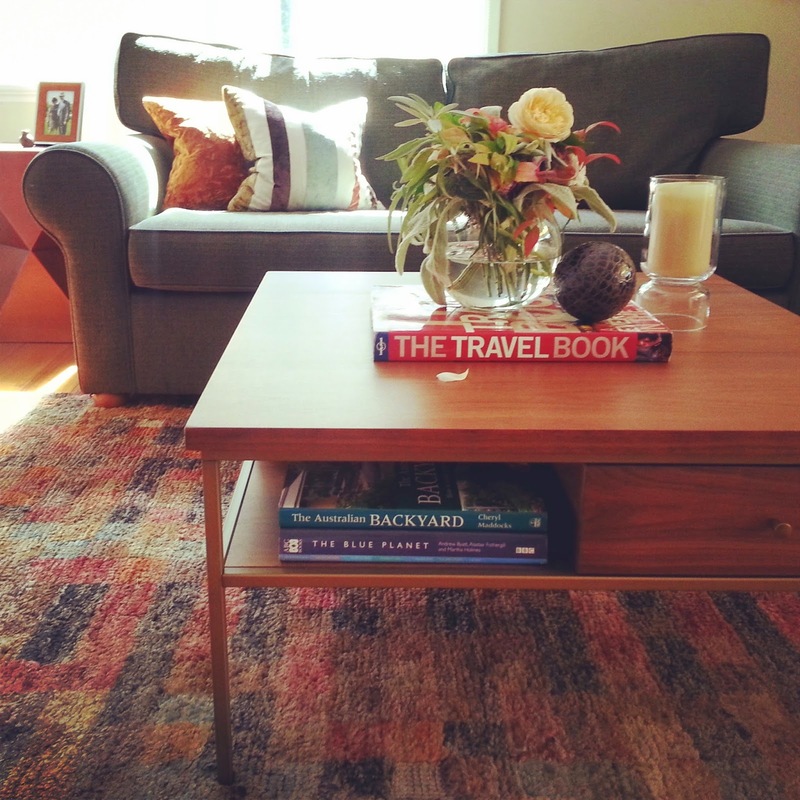 The copper geometric side table in the background is from Freedom furniture (as are the sofas, now over ten years old. I have plans for cigar coloured leather sofas one day, but as they endure two small messy boys, the vision will have to wait a bit longer!) The jute rug is from The Rug Collection... with so many colours in the design it is a joy to decorate with. The coffee table with the aged brass legs, handy shelves and drawers is both decorative and practical. This is from West Elm (The Chapel Street store is my favorite!) The velvet cushions I made myself and are beautiful and soft to snuggle with. As the living and dining area is a modest size, I designed custom built in storage to hold A/V equipment, to work as a buffet, display cabinet and more. The farmhouse table was selected to build character over time (and by that I mean, I didn't want to be precious about scuffs, dents and spills) and is complimented by ladder back chairs with rush seats. The pendant lights are from Ikea. This is amazing.If you are looking for quality furniture stores Sydney,then you can contact willowshometraders.com.au for more details.